What followed was a Qualifying Final I’ll never forget. We faced another of our Victorian rivals, Richmond, a team we’d beaten just three weeks prior. 95,000 people packed into the stadium to watch the clash. I was fortunate enough to be right in the thick of it in the cheer squad bay. During the season the bays are often a mix of different supporters, but during the finals they allocate different bays to different clubs. Sitting amidst the thick of the action, surrounded by Carlton faithful in a record-breaking crowd was exhilarating. The come from behind victory we staged even more so. It was a moment I’ll never forget, and one I am still euphorically drunk off of. That one game made up for any rough moment we’d had throughout the year. The fact that we’d replaced Essendon in the finals, beaten another rival in Richmond, and in doing so finished above our fiercest historic rival, Collingwood, on the ladder was just the icing on the cake. The perfect trifecta I’d never have dreamed of. You couldn’t wipe the smiles off of our faces. The next final was to be played against Sydney, in Sydney. Following my team interstate has always been beyond me, so we decided to head down to our home ground to watch the game on the big screen with the rest of the Carlton faithful who couldn’t travel. 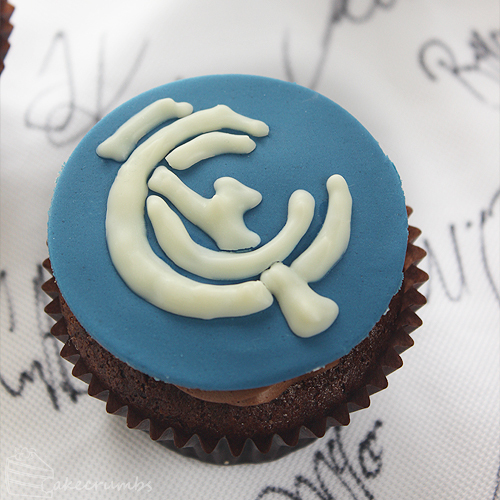 Picnic blankets on the grass to watch the footy called for something to celebrate: cupcakes. I’ve never been so excited for a game I was fairly sure we were going to lose. Returning to Princes Park, our original home ground, is always a cause for celebration. Almost a decade ago, financial difficulties meant we had to relinquish this ground as our official home ground. It closed permanently for all AFL matches, something I never quite got over. 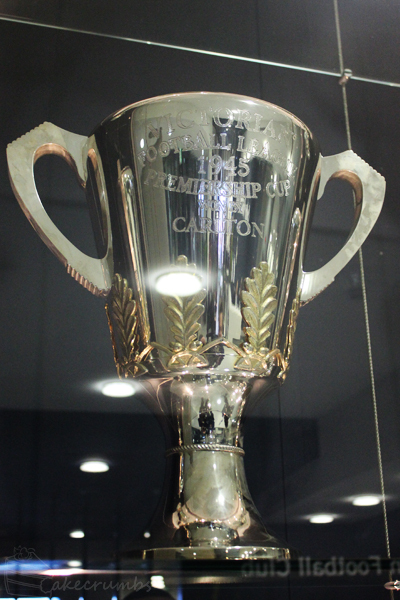 But it’s still the heart of Carlton. We still train here and the innards are still Navy Blue all over. Growing up, we always moved around a lot so I’ve never had anywhere I associated with home. But Princes Park is my one place that feels like home. It’s a mere few blocks away from my University where I’ve studied and now work. It’s where I feel a real sense of belonging. 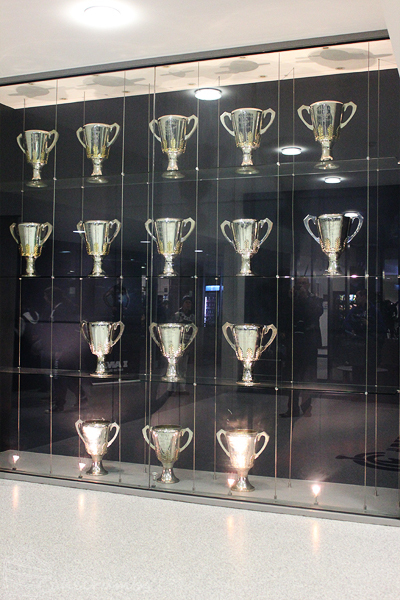 Walking inside you’re greeted with all manner of Carlton paraphernalia and history that makes you swell with pride, but none so much as the premiership wall displaying all 16 of our premiership cups — the highest in the AFL, mind you. The adjacent wall is the Blue Believer wall, an initiative I signed up for at its inception some 5 years ago where you get your name on the wall for donating to the club. I get to be physically part of the walls, it’s awesome. And then there’s walking out onto the oval and reliving all the memories from years past. 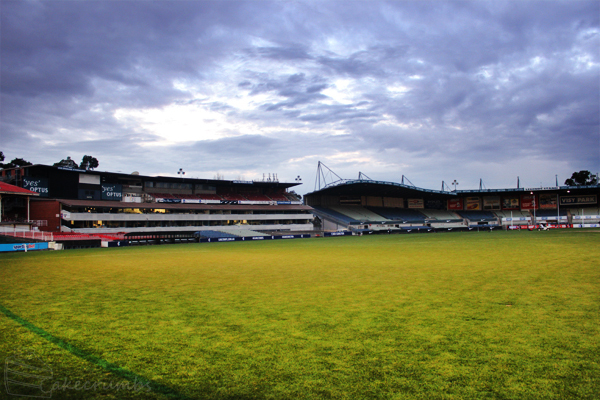 I miss going to this ground every week. I miss it’s creaky old bench seats that make you feel like you were watching grassroots footy. We walked to the other end of the ground and grabbed a spot on the grass amongst the rest of the supporters, not hoping for a win, just hoping for a decent shot at it. 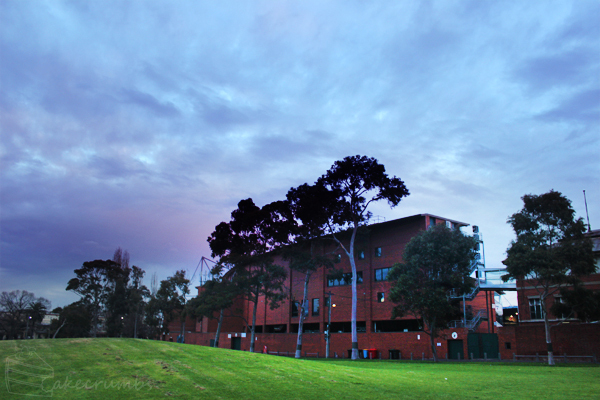 And hoping the Melbourne sky didn’t open up and shower us with rain as it had been threatening to do all day. The rain held off, but victory, predictably, wasn’t ours. I wasn’t as devastated as I usually am after a loss. Maybe because we were fortunate to get as far as we did. Maybe because I knew whoever won was going to get smashed by Fremantle in the next final match. Maybe I was still partially euphorically happy drunk from the previous week. Or maybe it’s just hard to be upset with cupcakes around. I made chocolate cupcakes using my favourite recipe, accompanied with something I tried once for the first time and have fallen in love with: whipped chocolate ganache. 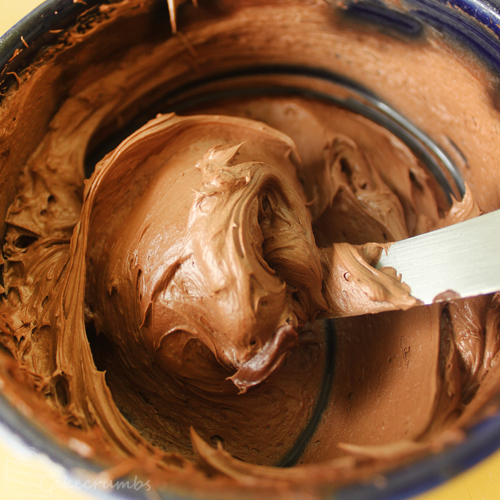 All the pipe-ability of buttercream without all that butter and sugar. Yes please. For the toppers I made super thin fondant discs and piped the decorations from white chocolate. Of course the first thing I had to include was out logo. 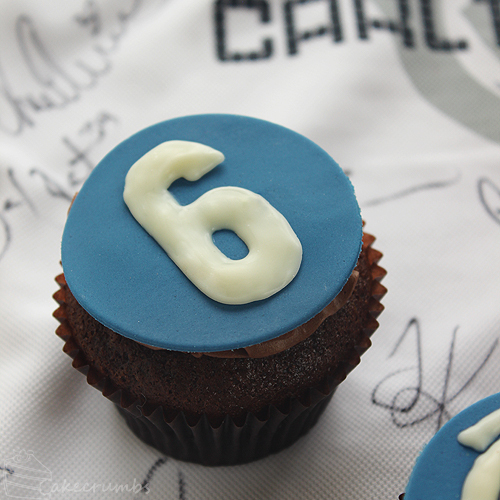 On some of them I piped the #6 in AFL font in celebration of Kade Simpson’s 200th game that match. Simmo is my favourite player at Carlton (and not just because he acknowledged me during a goal celebration back in 2006, I swear… okay maybe a little bit). He’s a pivotal player, a courageous player and one of the best players at the club. He’s completely underrated at a competition-wise level and certainly doesn’t get all the praises he deserves, but he’s absolutely invaluable at Carlton. He had the record for the most consecutive games at the club (158) and was looking to on track to break the AFL record until he was cleaned up by an illegal bump from a Collingwood player that broke his jaw last year. Since he returned from injury he hasn’t missed a game and quickly notched up the 200 games. I was probably more excited about Kade’s milestone than being in the finals! 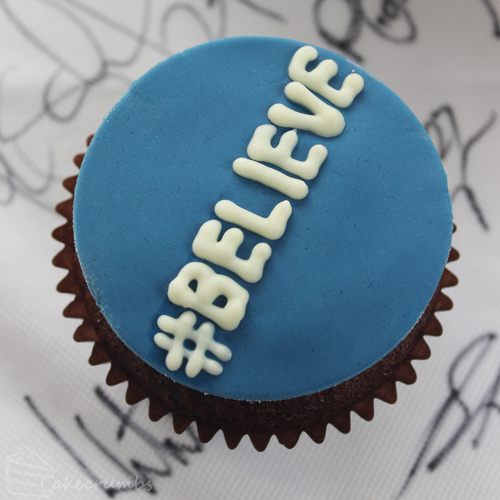 And last of all, a third of the cupcakes got the #BELIEVE hastag that was used as the official hashtag by the club during the finals series. 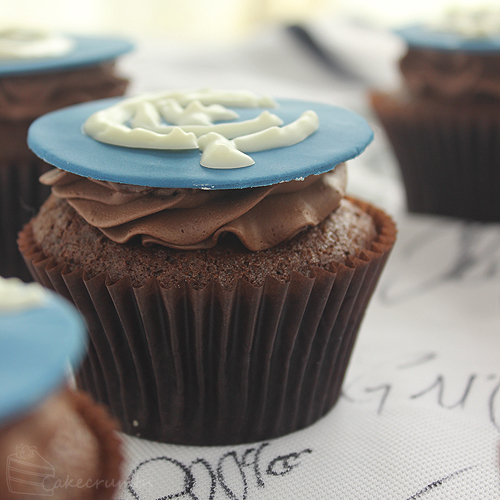 The toppers all sat atop a swirl of the whipped chocolate ganache. 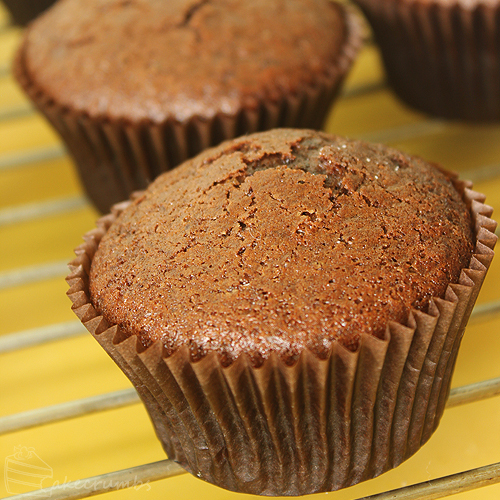 This cupcake recipe produces the most amazing, moist, chocolatey cupcakes. It’s also ridiculously simple, so it’s my go-to whenever I don’t feel like putting in a lot of effort. 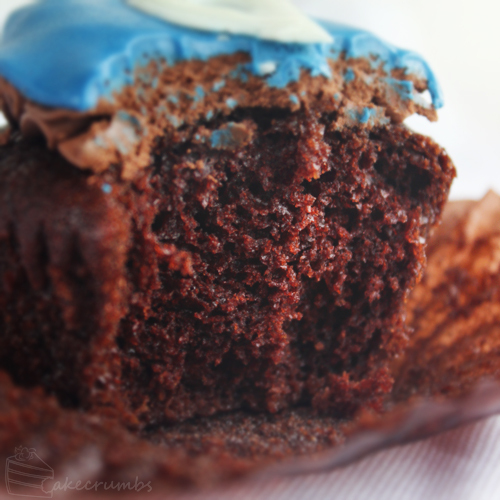 I’m gonna post a general tutorial on how to make simple chocolate transfers for decoration soon, so meantime here’s the cupcake recipe. This makes about 12 standard cupcakes. Can I substitute white vinegar for the apple cider vinegar? Yeah, anything acidic will do. A lovely little piece of merchandise/memorabilia for the night. 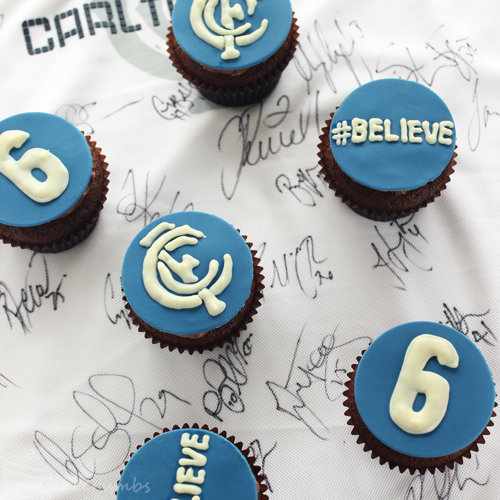 Eating the #BELIEVE cupcakes didn’t bring us a nice second half though!